Team Fortress 2 is a team-based FPS that has recently been released as "free to play." Players can choose to become one of nine classes, each with its own special abilities--for example, the Spy can turn invisible and disguise himself as an enemy. Team Fortress 2 has some unique game modes, such as "Control Points" and "Payload", which usually require some good strategizing for a team to win. Also, the game has a very active online community. 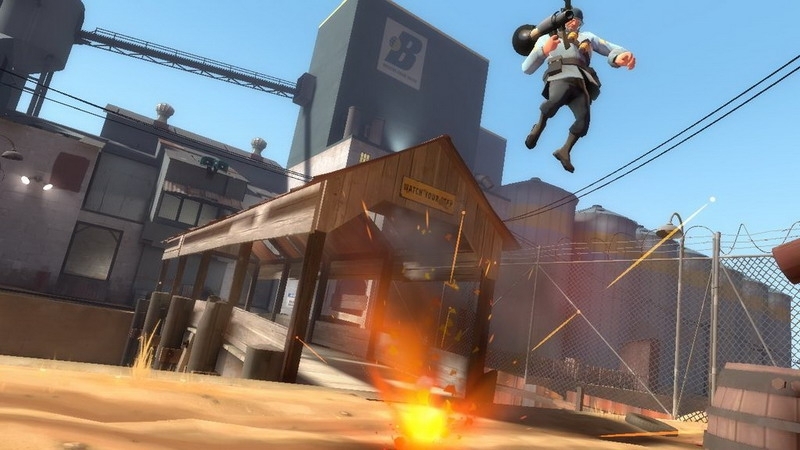 Team Fortress 2 is a fast-paced game that's great fun. There is a bit of a learning curve as new players get to know the classes, but there is a training mode and some useful guides available. The classes are quite balanced (or they seem to be, anyway), and by playing online, you can "find" new and interesting weapons to customize the classes. The high production quality of this game is clear throughout, as you would expect from a game that used to cost money. Overall, I think Team Fortress 2 would be fun at any LAN party, and it is an excellent game. Note: downloading and playing this game requires Steam. For a LAN party without Internet access, you can still play the game by starting Steam in offline mode, but you won't be able to distribute the Install file to new players easily. A slight nuisance, yes, but worth it for this game. Just search it on steam. It's based on the Source Engine and has been developed by Valve.